The seed was sown for a historic event in 2005 when President George W. Bush and Prime Minister Manmohan Singh decided, in principle, for cooperation in civilian use for the nuclear energy. The broad framework was going to be the basis of what can be called as India’s attempt to break off from a decade long seclusion from the world on issues of use of nuclear technologies. This finally culminated in signing of Indo-US nuclear deal on October 10th, 2008. Since India's Pokhran Nuclear Tests in May 98, we have been in isolation and it is time for us to be back on the world scenario on nuclear matters. Many of the sanctions against India were lifted soon enough. Sheer size of Indian economy allowed us to survive the intense pressure the world exerted to coerce India into signing NPT and CTBT which inherently outline policies detrimental to Indian interests. It was the rapidly growing Indian economy and the nation as a whole developing at such a pace which compelled the so called world powers to give in to the situation. The world realized it was impossible to ignore the upcoming might of India on the world scenario. This nuclear deal is a further strengthening link in the growing chain. 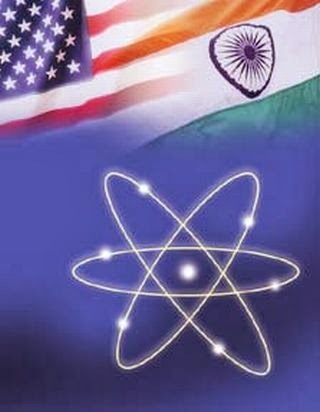 United States, the front-runner to the creation of nuclear supplier group, spearheading India’s case to the same organization speaks of the importance of India. Not being oblivious of the fact that everything comes for a price I firmly believe that the agreement of nuclear cooperation may be more boon than bane. First of all it gives India a de-facto nuclear status without being an NPT signatory. Further the rising power demand within the country makes it imminent to search for newer ways of generation. Nuclear power estimated to go to 20 MW from present of 4 MW would be an important contribution. Assurances of United State to actively try to avoid disruptions in nuclear fuel supply may act as an incentive for establishing reactors. Moreover allowance to carry forward with the military nuclear facilities, although in isolation to the civilian ones, further outlines the world's belief in India's unilateral moratorium. However I also agree that the price we are paying might be the factor that may be a future threat. The recent shift in policy towards Iran is the major concern that needs to be thought about. Moreover the growing closeness to US may hamper ties with other traditional friends like Russia, links to which have survived the test of time. So, the bottom line, I believe, is that the deal benefits India if there are no other invisible (read as undisclosed) strings attached.